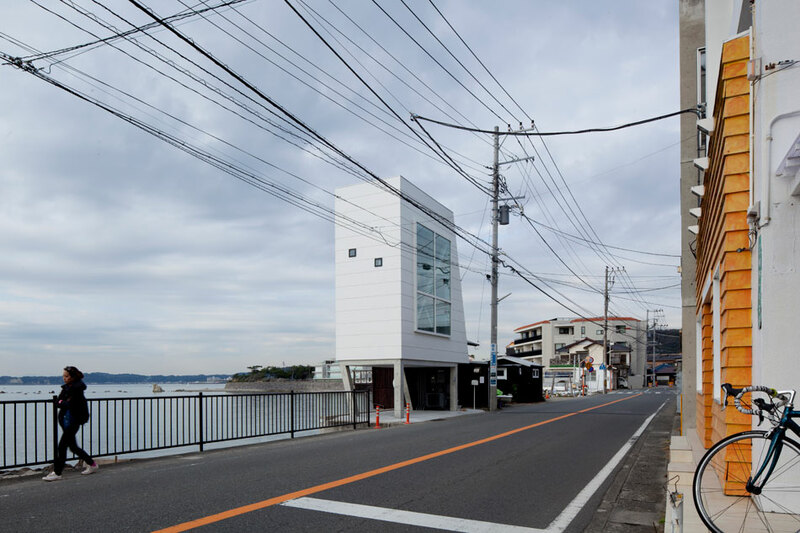 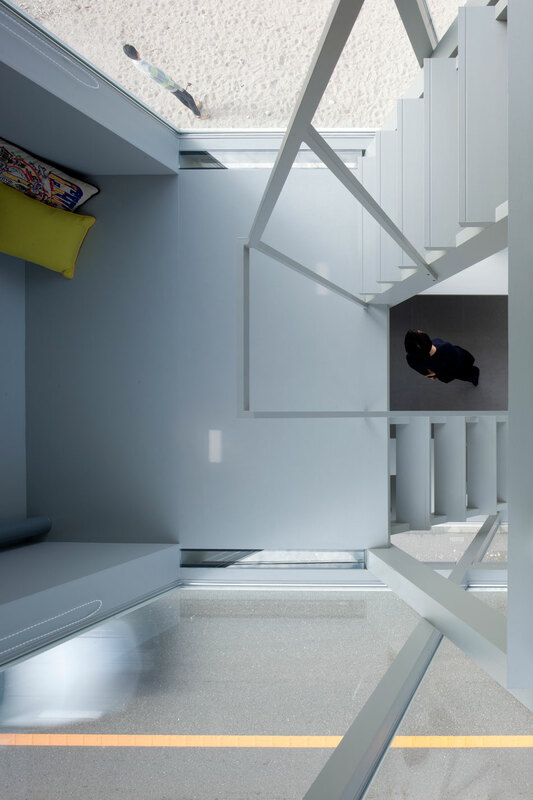 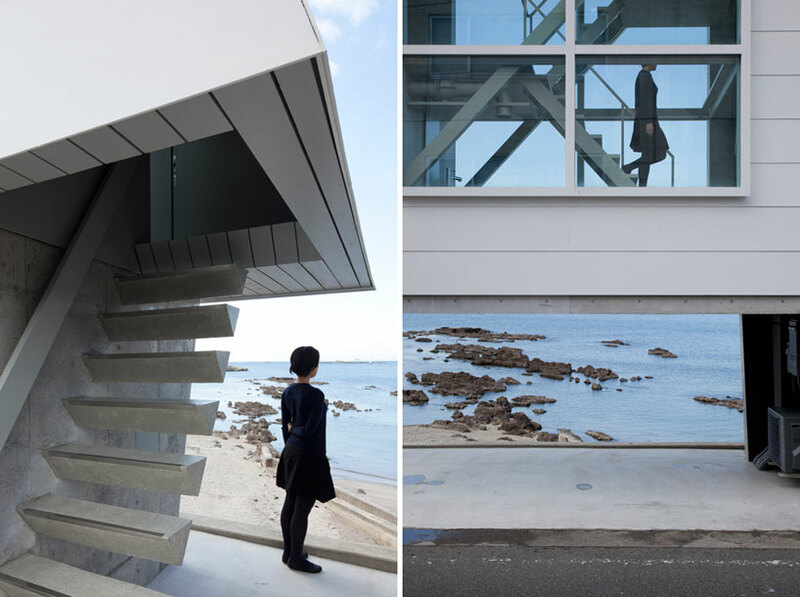 existing on a compact strip of land between the ocean and the passing street, yasutaka yoshimura architects has designed a small-scale residence in kanagawa, japan. 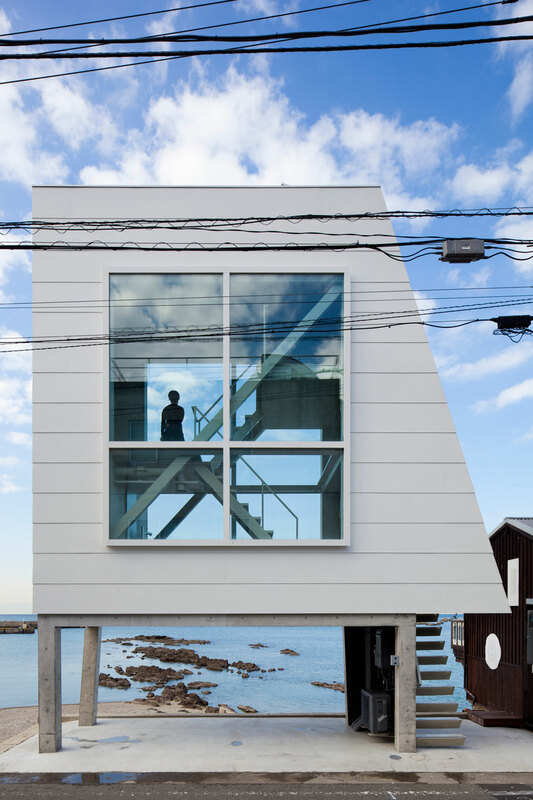 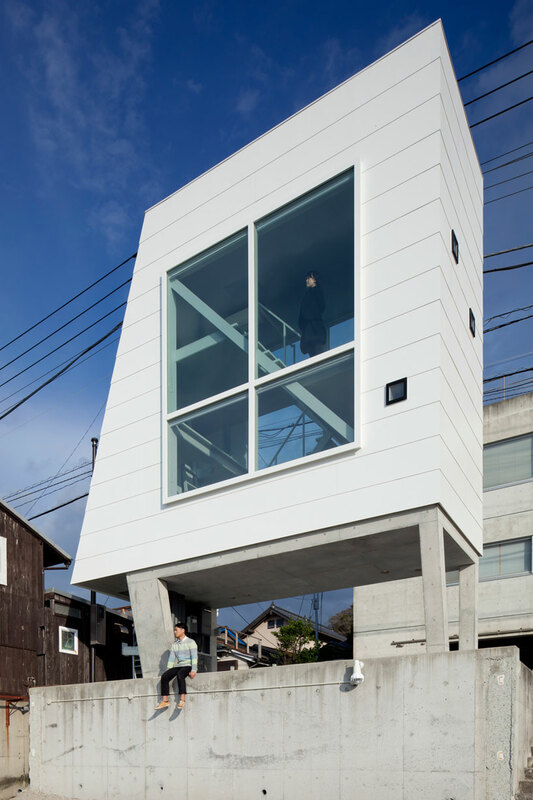 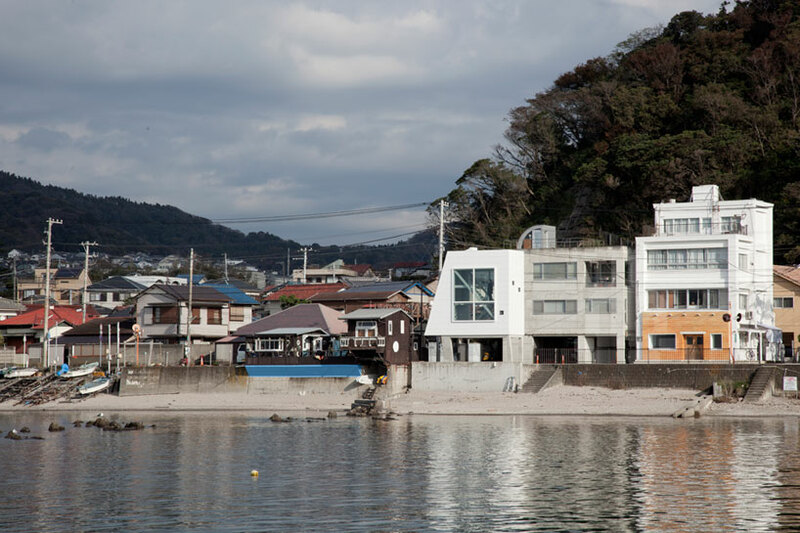 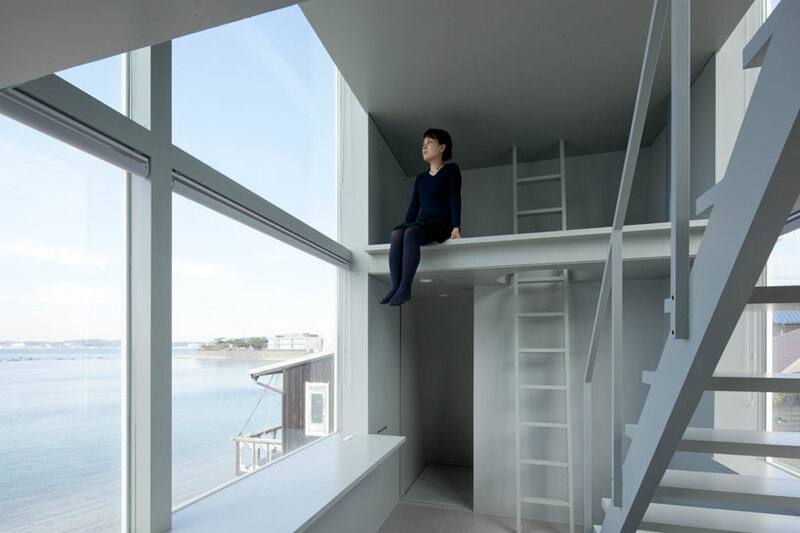 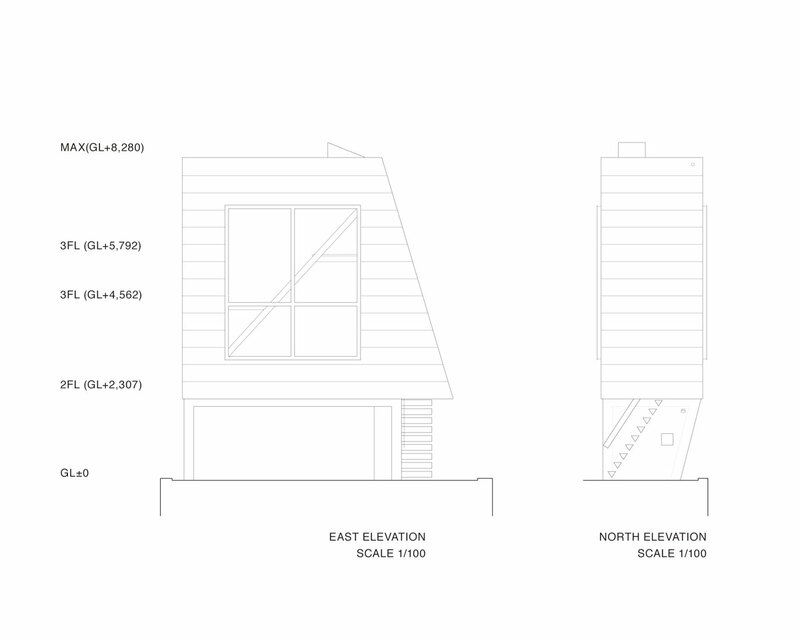 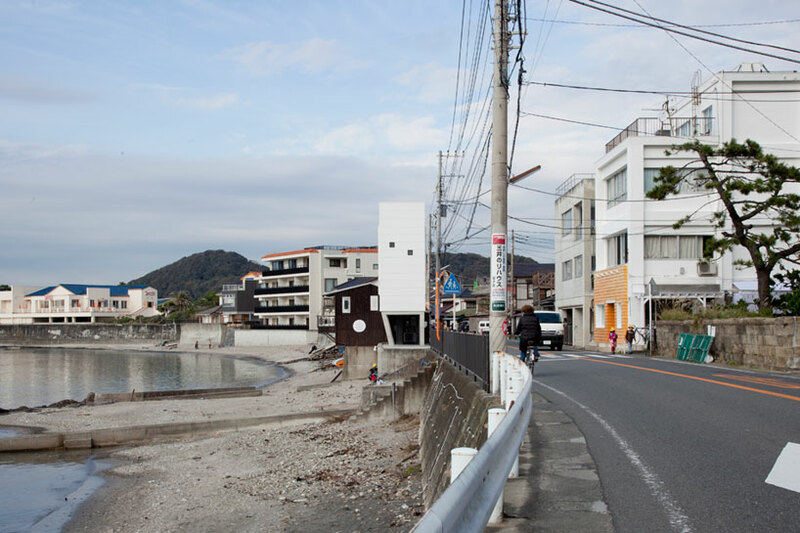 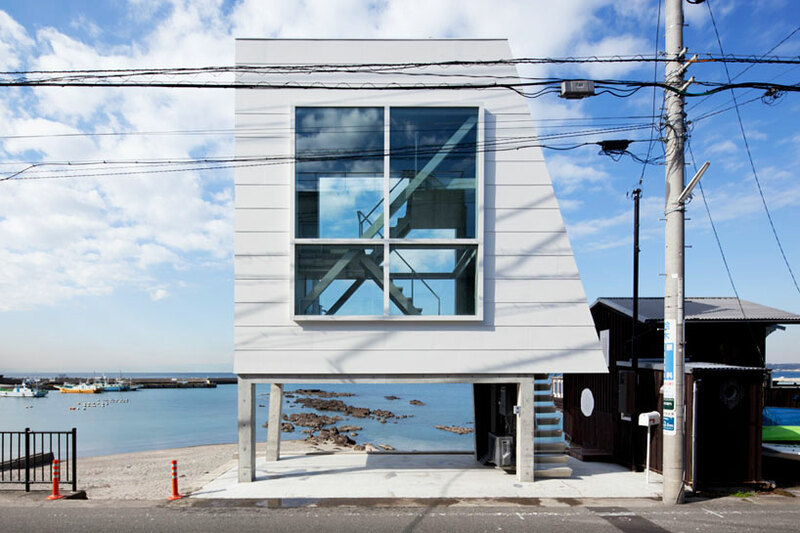 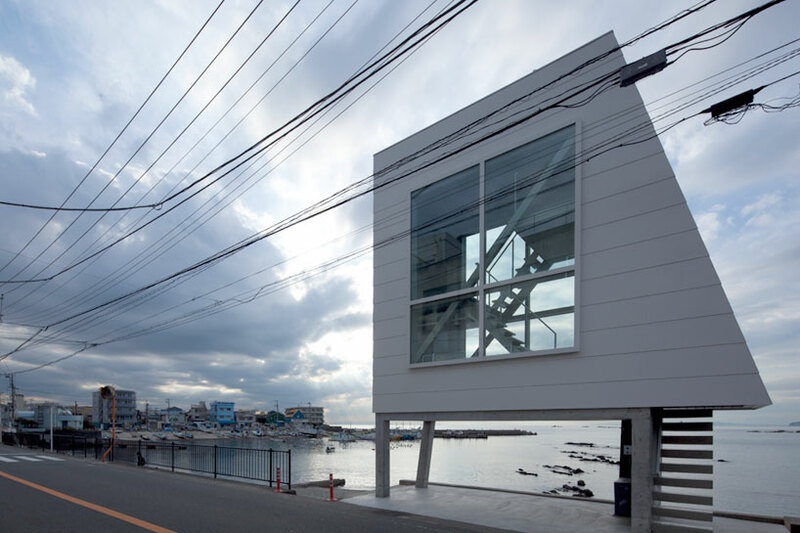 ‘window house’ is a weekend refuge offering expansive views of mount fuji and across sagami bay. 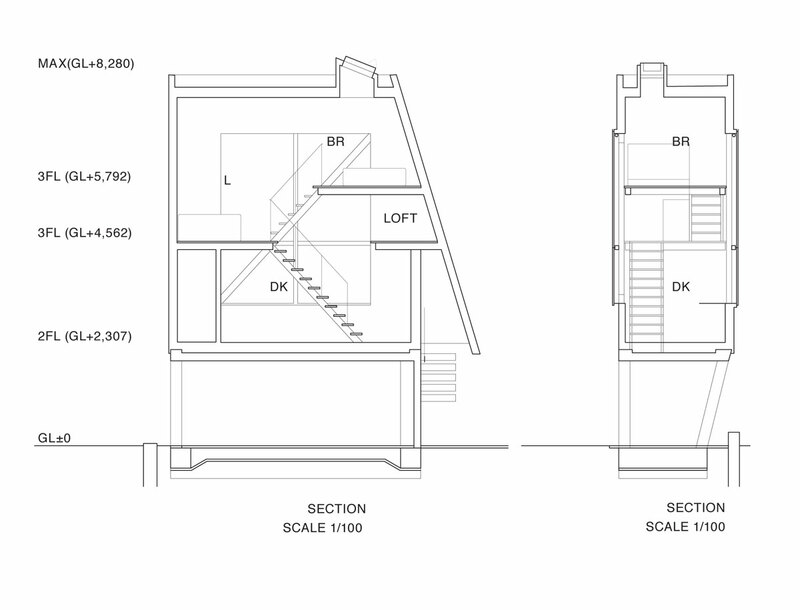 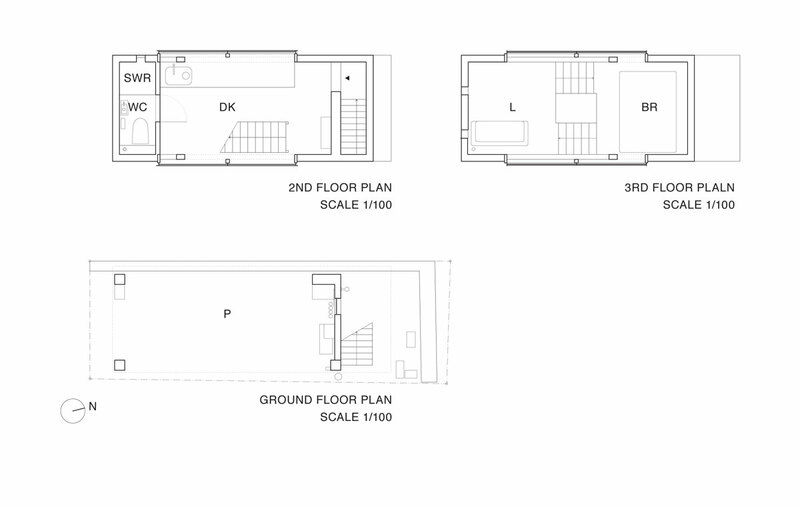 the three-storey dwelling is defined by large openings on both sides of the property, allowing daylight to pervade the structure. 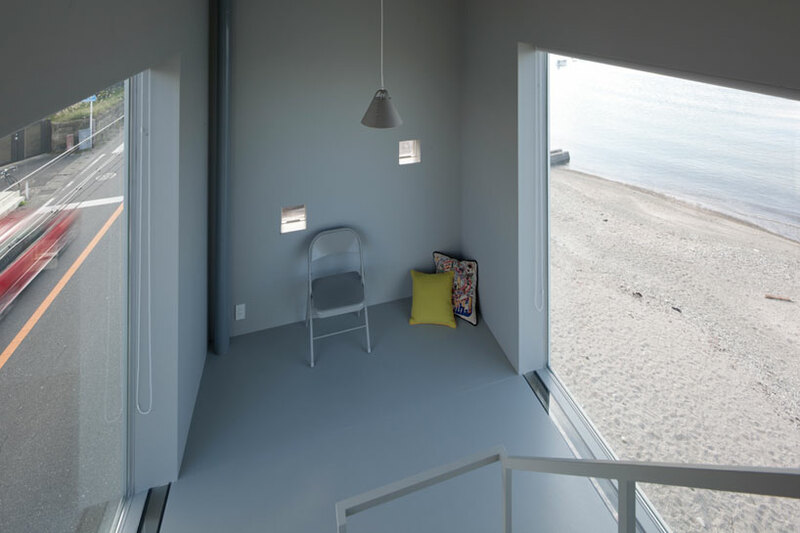 the windows also permits sight-lines through the design, ensuring that the building does not block the views and light requirements of proximate buildings. 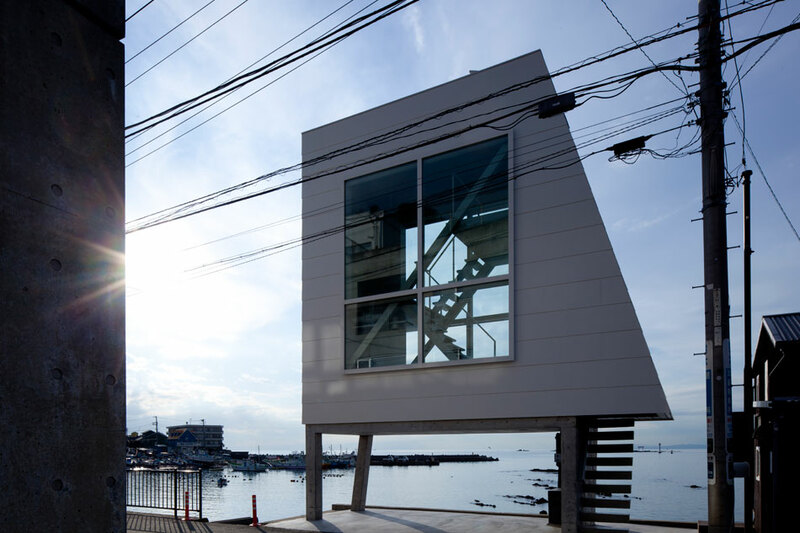 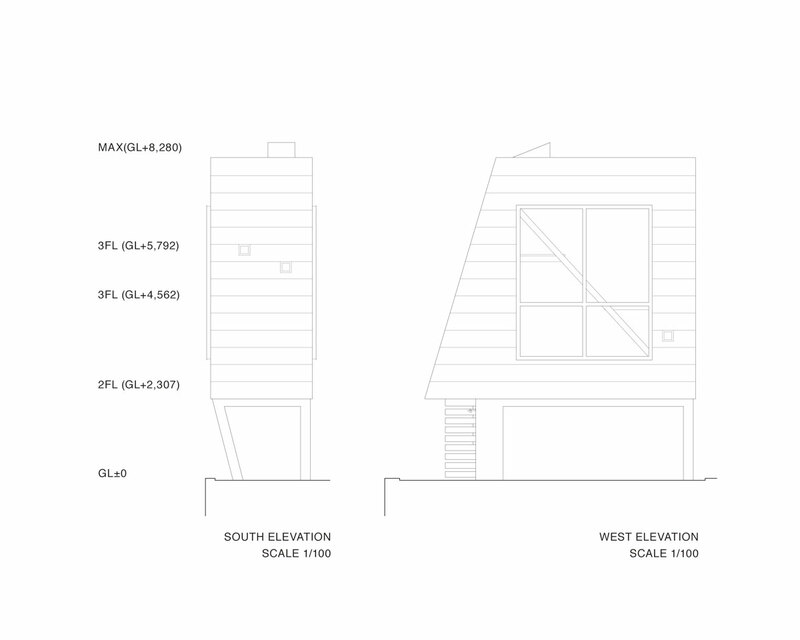 due to its waterside location, the structure is perched on piloti – protecting its inhabitants from flooding. 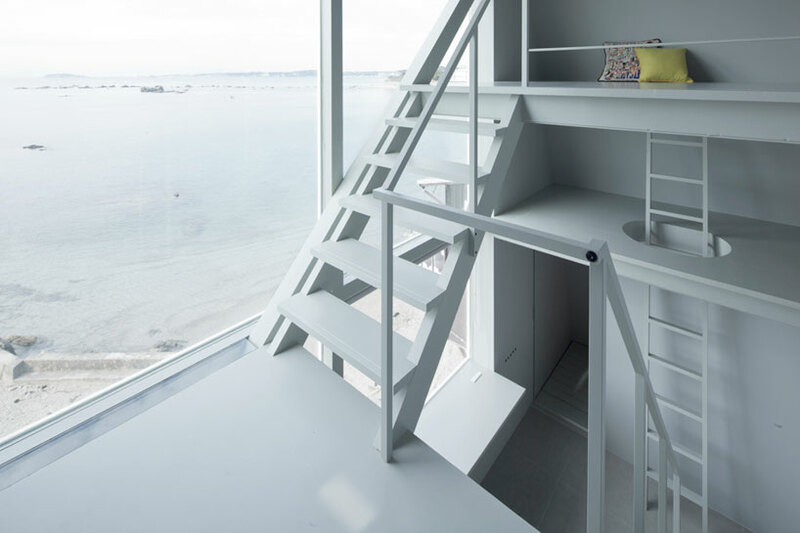 a cantilevered stairway draws one inside the home’s living quarters where efficiently programmed volumes are flooded with daylight, offering panoramic vistas across the region’s coastline.